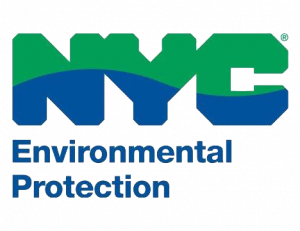 The BB-215 Power Distribution Improvements Project at the Bowery Bay Wastewater Resource Recovery Facility (WRRF) located in Astoria, Borough of Queens, New York, has received the Envision® Silver award for sustainable infrastructure. The Bowery Bay Wastewater Resource Recovery Facility (WRRF) has a current dry weather flow design capacity of 150 million gallons per day (MGD) and a maximum wet weather flow capacity of 330 MGD. Originally constructed in 1939, the WRRF has undergone several major expansions and upgrades to serve its current drainage area of approximately 15,200 acres. To continually provide the important service of wastewater treatment and resource recovery to the surrounding community, the facility’s equipment is periodically upgraded to the increase efficiency. In addition, repairs to the facility are periodically required, especially after major storm events such as Hurricane Sandy. The latest Power Distribution Improvements Project—the project submitted for third-party verification against the Envision sustainable infrastructure framework—involves: consolidation of the facility-wide power distribution system: conversion of the facility’s remaining 208 volt distribution systems and equipment loads to 480 volt; removing obsolete motor control centers and equipment; replacing electrical equipment, motors, and associated wiring; replacing the 4160 volt synchronous bus and 4 utility service paralleling reactors in the main substation; and providing new mimic panels in the main substation and facility control room to improve operator safety. The primary goal of the Power Distribution Improvements Project is to provide reliable service to the 850,000 people in the community, and sustainability has been a major focus for the project team since the project’s initial inception. For this reason, the project team pursued Envision verification to acknowledge and validate the proactive sustainability outcomes for Bowery Bay WRRF.